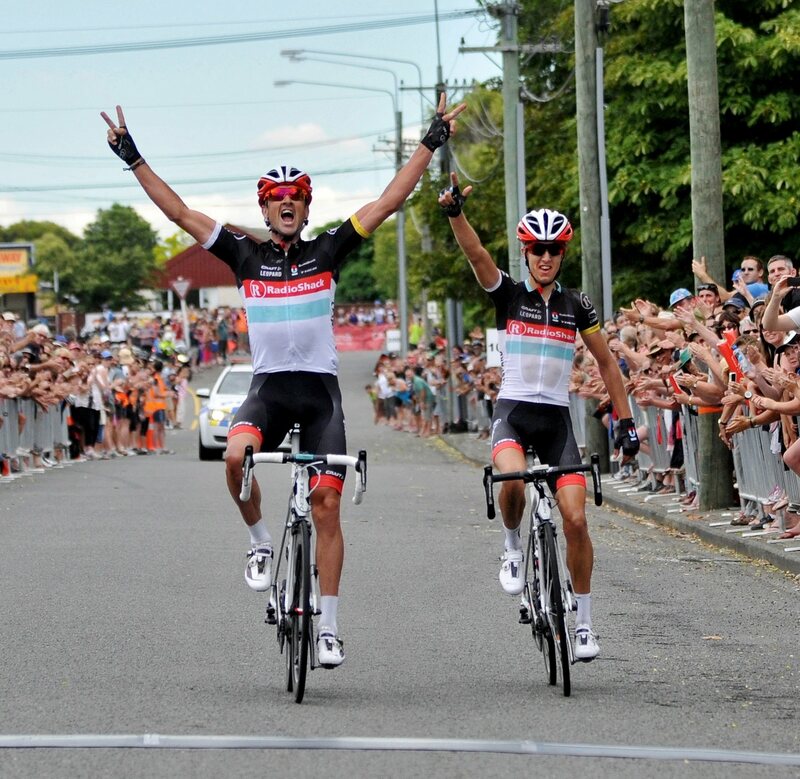 NZ road nationals and what it takes to win. The New Zealand road nationals are only days away so I feel compelled to write about my experience with the race and what I believe are the key things every rider should have done if they’re serious about winning. I guess everyone that lines up on Sunday in the Elite Men’s road race has a chance to win, but we all know there is only one winner and if we are really honest about things, there are only a handful of riders that have a serious chance. The rider that prepares the best will win. There are so many different components that go into achieving success and a lot happens before you even get on the bike. Here I’m talking about cycling, but in reality anyone who is successful, whether you’re an athlete or not, will follow similar principles to what I’ve followed throughout my career. Nationals are a great race and one that I always took seriously. I use to rise to the occasion for nationals, much easier than I did for any other race. I don’t know why, I don’t know if it was due to being at home around my family, or just waking up in my own bed where things were more familiar to me, but on that given day at nationals no matter what I just knew that I could win. I’ve been really lucky to have crossed the line with my arms in the air on a few occasions and looking back now there was a number of things that I did every year that were very important to my success. Everyone has the ability to train, but it’s about the little things, both on and off the bike, that you do and putting these all together in the right way that helps you to achieve success, particularly repeated success. Planning and preparation is key and below are the things I would say are vital to success. If you can’t see it, it won’t happen. Period. I use to lie on my bed for a length of time every day in the build up to the race visualizing the outcome. You don’t have to spend hours doing it, but 10-15minutes is so powerful. I would close my eyes and picture everything I wanted to happen during the race. Once I had pictured everything I would turn it into a movie. It would be bright, loud and exciting. I would make everything seem as real as possible without it actually happening. From the race itself, to the post race interviews, to being on the podium and hearing the crowd, to embracing my family after it. I would picture it all. I could see it, feel it and own it before I even got on the bike. When you dial in your mental game, the rest comes much easier. If you don’t, then the step to realising success becomes much bigger. I can. I am. I will. You have to be confident in everything you do. If you’re second-guessing something in the build up to nationals, then you’re losing energy. Having confidence is key to success. I remember when I was younger I use to say to myself ‘cockiness is the key to success’. What I really meant subconsciously was, confidence is the key to success. I can win. I will win. I am winning. You have to remove all negative self-talk. As soon as you say you can’t or won’t do something, success will not be yours for the taking. From waking up in the morning, to going to bed at night, you have to be aware and take ownership of everything you do, think, feel and say. Confidence comes from within. Confidence also comes from having achieved small goals along the way, whether that is in training, nutrition or previous racing. You can’t rely on others to give you confidence and if you do then it’s never enough, but in saying that, there is nothing wrong with the support of people close to you. I had a lot of support throughout my career and without it I would have struggled. Just remember that what you put out there you attract back. Knowing the course is key. Understanding how demanding it is and where on the course you can save energy is key. You have to know the start of the race and how it will go. Will you be able to eat in the first 30mins or will it be full gas? You have to ride the course more than just once to get a real understanding of it. Little things like knowing when to stop for a pee so you can easily get back to the bunch, to knowing where you can stop pedaling are all things that help you save energy. The more energy you save, the more you’ve got to use later and knowing the course is key to this. Nutrition is obviously very important because it’s the stores you have in your body where the energy needed will come from. In my opinion what you eat on the day isn’t really the biggest factor, it’s what you’ve eaten in the build up and what your body is used to. What have you trained your body to do? Do you burn fat? Do you burn sugar? That’s the key. If you’re a sugar burner, then carry a lot of food! If you’re a fat burner then you generally don’t need as much food. In my early years I would say I was a sugar burner, relying heavily on gels and stuff, but in my latter years my body was trained differently. I remember always eating a lot early in the race and fatty salty foods was what worked best. Most of my food was consumed in the first half of the race, which wasn’t easy to do if the race started hard, but I knew that if I could get the food into me early, then later on in the race I could do whatever I wanted due to having full stores. Riding your race wheels only on race day is something you should never do. Put your race wheels on the day before to test them and make sure the gears are all working and there are no issues. Don’t leave it till the warm up before the race to try things out. If you’re worrying about puncturing your tires the day before then that’s the wrong attitude and you’ll probably puncture in the race anyway (remember that what you put out there you will attract). Discovering something is wrong the morning of the race or moments before will cause major disruption and stress at a time where you need to be focusing and staying calm. It sounds so simple but many people are stressed about basic preparation just moments prior to racing. Training is obviously a big component to success. Having the ability to save energy whilst others are using theirs all comes down to training. What stress have you trained your body to tolerate? Can you go with a hard start, then settle and go hard again at the finish? These are all things that you need to have a handle on in your training. For me in the build up to nationals I would do a key session that would give me confidence. In the first hour I would do 5 laps up dyers pass climb at 420w, which would seem pretty easy due to it being early in the training. I would then head off for 2½ hrs in the hills steady, where I ride as many hills as possible to tire my legs out all whilst eating as if I was in a race. I would then return to the same dyers pass climb and do 5 laps again at 420w with the last time up the hill being a maximum effort. Doing this session 2 -3 times in the build up would give me all that I needed to be ready for race day. I would then head off to the Nelson tour, which I would suffer through on training wheels and very fatigued. After this I would be recovering, riding easy or not riding at all. Once I recovered I was flying. You have to be fresh to win nationals and if you’re not you can forget it. Whoever wins on Sunday may not do all of the above. But for sure they do some of it. If not then they will have to learn it pretty quickly because repeated success doesn’t just happen. You have to learn how to attract and achieve success and planning is a big part of that. Unless you’ve got parents who can teach you how to be successful – which most of us don’t – then learning how to attract it and achieve it is key. I was lucky to be led down the right path and learn what I needed to achieve success at an early age. However, this wasn’t without a few humps and tough lessons along the way. This is now my motivation for running age group training camps. I want to educate because I know that so many kids miss many of these vital steps in the preparation for success. All they focus on is the racing and the training and everything else is neglected. When they get to an age that matters, they are missing vital ingredients and by then it’s much harder to change mindsets and rituals and unlearn bad habits. I see it all the time. Step by step I hope to change this for the people I coach and mentor based on what I’ve learned throughout my career. It also motivates me continue to learn and pass on this knowledge through mentoring, individual coaching and of course, training camps. Who do you think is going to win on Sunday? Michael Torckler was super strong in southland and so was Aaron Gate, so they both have a chance. Jack Bauer has to be a chance too; he will be motivated in his new team colours and has won before so he knows the feeling and can easily tap into those feelings if needed. What about Jason Christie winning again – I’d love to see that. I reckon the young guns will be hard to beat. Regan Gough, Alex Frame, Dion Smith. For sure there will be others too. It’s going to be a good race. Nationals are a crazy race though and you have to be ready for anything. I think the days of sitting in and waiting are over; you have to be prepared to go from km 0 and go all day or you may never get a chance to win – if this is the case then forget about eating real food in the first 60kms. I’ll be watching from afar this year but eager as ever to see who wins. Good Luck to everyone! Just found your blog Hayden, keep it coming! I’m starting the Tour of New Zealand in a couple of weeks and will build as much of what you’ve mentioned above into my final prep. Guess you didn’t see Joe Cooper getting it done! Wellington FTW! Thanks Greg. Only just saw this message now! Appreciate the comment.